Where does it say not to re-fill the dice bag with "used" dice from the current turn? It doesn't. But dice you spend or actions you use go out of play until the end of your turn. So anything that would cause you to refill mid-turn, doesn't include those, because they don't hit your used pile until the end of turn. Okay, where does it say spent dice and used action dice are out of play until end of turn. And, as a player, where do you place those out of play dice to keep them separate? To pay energy during your turn, move dice showing that much energy from your Reserve Pool to Out of Play. Those dice will go to your Used Pile during Cleanup. You can also pay energy during your opponent’s turn, but that energy goes directly into your Used Pile. You can’t choose to spend energy for no reason. 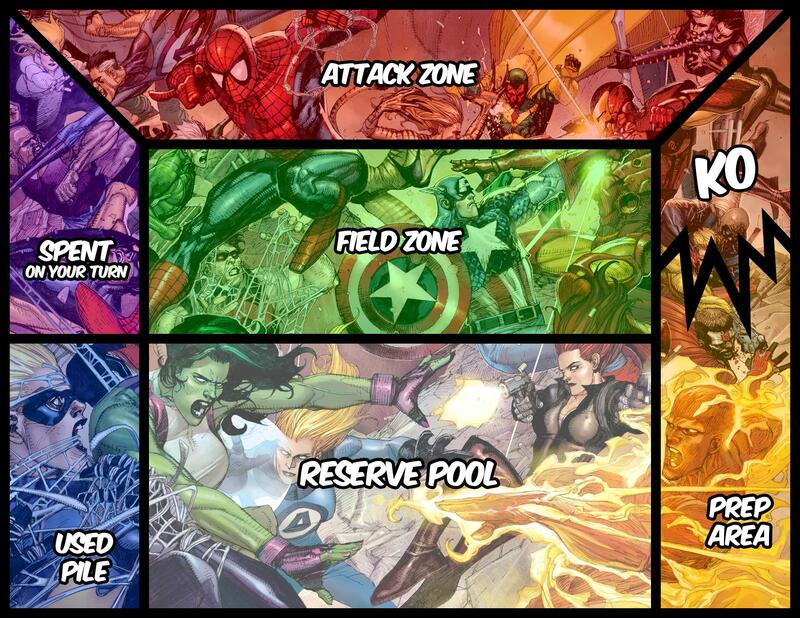 Some people, including myself, have created custom play mats where the Used Pile section has been divided to include an Out of Play/Transit Zone area. I've seen others use the Dice Bag area of the official play mats as their Out of Play area. See pages 5-6 about Play Areas. Some people place them off their playmat, some people use the "Dice Bag" section at the bottom, other people that have made custom playmats include an "Out of Play" section, usually as part of the Used Pile. Thanks for the answers. Great community here!